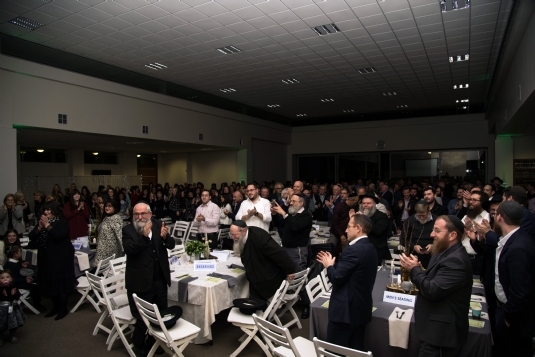 “We’re not a kichel and herring Shul,” Rabbi Ari Shishler told the crowd of 300 at Chabad of Strathavon’s 18th anniversary dinner, “Our vision is to translate Judaism into the 21st Century; to provide Judaism that is relevant, meaningful and welcoming for every Jew”. Chabad of Strathavon started as a typical shtibel in the Shishler’s garage in 1999. At the time, many felt skeptical of the Shul’s chances of growing in an area that then had a limited Jewish population. But, with the boom of the Sandton CBD, the rabbi’s vision proved correct and Jewish families began streaming into the area to live close to the business hub. 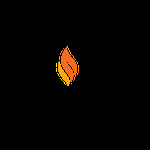 The community began to grow and, with it, the rabbi and rebbetzin’s appetite for making a difference. By 2009, the community had far outgrown the garage. Rather than simply renovate, Rabbi Shishler built a far larger building and launched the Jewish Life Centre. His vision included a place centre of experiential learning, a social Jewish hub and a hive of children’s activities. Today, the Jewish Life Centre hosts over 30 classes a week and boasts a buzzing function hall and one of Sandton’s most popular playgrounds. This past Wednesday night, the community celebrated its 18th birthday with a gala dinner, held at the centre. Popular actor and comedian, Harry Sideropoulous compered the evening, tickling the crowd with hilarious, yet powerful insights into the uniqueness of our Jewish community. Chief Rabbi Goldstein and head of Chabad South Africa, Rabbi Mendel Lipskar each lauded the Chabad of Strathavon community on pioneering a modern approach to Jewish activity and education in Sandton. The evening was both a celebration of growth and community-building, as it was a rousing call to engage every Jew in Sandton in a meaningful experience of Judaism. Rabbi Shishler highlighted that the dinner, like the Shul’s High Holiday services, did not have assigned seating, because the centre aims to provide a warm and inclusive experience of Judaism.